Think what you may of the Maddow debacle, the fact remains that the unauthorized disclosure of tax return information is a crime – a felony under 26 U.S. Code § 7213. Read my post, If you are not worried about leaked tax returns, you’re not paying attention. LAWRENCE O’DONNELL, HOST: In tonight’s Rewrite, Mitt Romney rewrites the definition of an Olympic athlete. BOB SCHIEFFER, HOST OF “FACE THE NATION”: I hear you’ve got an Olympic athlete in the family. MITT ROMNEY: Isn’t that something? Yeah, it’s not me. It’s my wife, of course. She’s the athlete, but in this case, it’s not her personally, but she along with two other people purchased a horse and have trained it up. O’DONNELL: She’s the athlete. That’s what Mitt Romney just said. She’s the athlete. In Utah, Romney worked to develop a routine. Josh Romney, the third of the Romney sons, was living in Salt Lake City at the time, and mother and son met regularly for lunch, often at a bagel shop near Josh. “We spent a lot of time just trying to talk things through,” he recalls. Mitt Romney juggled the household chores and running the Olympics. On his drive home, he would sometimes stop at Albertson’s, a grocery store in Park City, to pick up dinner. One favorite meal was rotisserie chicken, accompanied by side dishes of broccoli and pita bread. So Romney bought a horse, Buddy. Romney is quick to tell me that Buddy wasn’t an “expensive” horse. “Having him,” she says, “was like the coolest thing in the world.” Buddy was a trail and first-level dressage horse, and he was Romney’s companion in those days. “I was pretty lonely,” she admits. Buddy’s stable was a 35-minute drive from the Romneys’ Utah home. Once at the stable, Romney would spend hours and hours with Buddy, grooming him and cleaning out his stall. Still very weak, she could barely ride the horse: “I could only ride, like really ride, for like five minutes” before getting too worn out. But Romney’s affection for Buddy transformed her outlook on life and gave her a reason to push herself to climb out of bed each morning. “I noticed that I had this euphoria afterwards — it kind of got me out of that fatigue place for a little bit, just for a little time,” she says of her riding. Slowly, she began to feel slightly stronger. Time passed. And then Mitt Romney nominated his wife — without telling her — to carry the Olympic torch, citing her as his personal hero. It would be an arduous task for her: Those who carry the Olympic torch run for a quarter-mile before relaying the torch to the next person. For weeks beforehand, Romney practiced, building up her strength. “She was able to jog the whole thing,” remembers Josh Romney, who was there with her, running alongside his mom. O’Donnell’s fussing about Mitt’s tax deduction for the Olympic horse as a business expense, which is fully allowed under current tax law. Let’s remind Larry that MSNBC deducts Larry’s make-up, hair, and most probably on-camera wardobe – his dressage – as a business expense, too. Which End Of The Horse Is Lawrence O’Donnell? 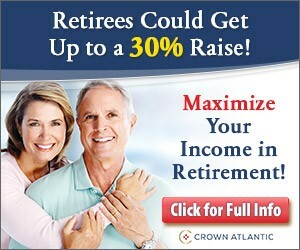 It is bad enough that MSNBC’s Lawrence O’Donnell mocks Ann Romney for riding horses to treat her multiple sclerosis. But then shows what an ignoramus he is by saying that “dressage (competitive horse riding) does not appear in any of the more traditional courses of treatment” for MS.
Actually, for many illnesses riding horses is a legitimate therapy technique. It’s called “hippotherapy.” Wikipedia has a nice description of it, and there’s even an group called the American Hippotherapy Association. Multiple sclerosis (MS) leads to changes in balance due to the breakdown of a number of neurological processes. Hippotherapy utilizes the movement of the horse to provide sensory feedback and has been used as a therapeutic intervention for different neurological conditions. Just tell us. Why are we in this fight with him? Tell us, commander, give us our orders, and tell us where we’re going. Give us the mission. It doesn’t occur to the interviewer, also a member of the media, to question Matthews’s notion that the press should be taking orders from a US President at all. More at Legal Insurrection. Transcript at News Busters. Do you think Martin Bashir can spell the word “idiot”? For the record, Cain received a Masters degree in computer science from Purdue while working full-time for the Department of the Navy as a ballistics analyst. He went on to be CEO of Godfather’s Pizza, CEO of the National Restaurants Association, chairman of the Kansas City Federal Reserve, and has served on the Board of Directors for major companies including Nabisco and Whirlpool. By contrast, according to Wikipedia, Bashir studied English and History at King’s College in London; no degree was listed. He has been a journalist ever since. That’s King’s College, not Burger King College, but you wouldn’t know it from Martin’s witty repartee. Can’t wait for Martin to ask Herman Cain himself that question. Keith Olbermann, the highest-rated host on MSNBC, announced abruptly on the air Friday night that he was leaving his show, “Countdown,” immediately. The FCC just approved GE’s sale of MSNBC’s parent company — NBC/Universal — to Comcast. The Obama administration just hired GE’s CEO to a big position. I think some moves are being made behind the scene. Hey, Olbermann, this was the president you wanted. As Instapundit’s commenter put it, Olbermann’s viewer is going to be bummed. Huge thread at Memeorandum, if you are interested. Yes, Keith is a liberal, and so am I. And there are other people on this network whose political views are shared openly with you, our beloved viewers, but we are not a political operation. Fox is. We are a news operation, and the rules around here are a part of how you know that. DYLAN RATIGAN: Alright, guns at town hall rallies, you’re probably familiar. 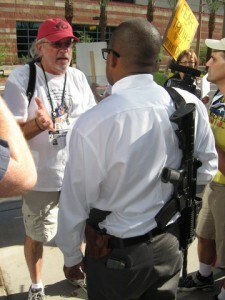 Well, people continue to do it, packing heat at these health care protests. Contessa has the latest. What’s going on? CONTESSA BREWER: Yeah, we are closely following here, Dylan, town halls and other events around the country today to see who shows up and what they bring with them. More than 20 town halls scheduled from east-to-west, Virginia to Washington state. Yesterday, as President Obama addressed the Veterans of Foreign Wars in Phoenix. A man at a pro-health care reform rally just outside, wore a semiautomatic assault rifle on his shoulder and a pistol on his hip. The Associated Press reports about a dozen people in all at that event were visible carrying firearms. And if the scene looks familiar, that’s because it should, last week a guy stood outside Obama’s health care town hall in Portsmouth, New Hampshire with a gun strapped to his leg and police arrested a 62-year-old before that New Hampshire event for carrying unlicensed loaded gun. And the reason we’re talking about this, a lot of talk here, Dylan, because people feel like, yes, there are Second Amendment rights for sure but also there are questions about whether this has racial overtones. I mean, here you have a man of color in the presidency and white people showing up with guns strapped to their waists or to their legs. Allahpundit, and a very NOT suitable for work Ace, are indignant, since MSNBC clearly cropped the footage in order to fit their narrative that “here you have a man of color in the presidency and white people showing up with guns strapped to their waists or to their legs.” Certainly it’s more important to MSNBC to inflame racial memes than it is to actually report the facts. Several conservative bloggers, including Hot Air, RedState, and NewsBusters, have taken MSNBC to task for not identifying a man with a gun at an Obama event as an African-American in a segment that discussed the “racial overtones” of those packing heat at presidential town halls. Because there have been several white people showing up with guns — and the “birther” conspiracy theory is still getting attention — it’s certainly fair to ask about racial overtones regarding this issue, and some of the vitriol directed at Obama personally (as opposed to criticism of Democratic policies). It’s also very fair to ask what could possess any American to feel the need to bring a gun to a presidential event, as Chris Matthews recently did. But by raising the racial issue in this context, bloggers claimed that MSNBC was purposely misleading viewers by not showing that at least one African-American man has also carried a gun to an event. Thank goodness for the “righty bloggers.” You certainly can’t rely on MSNBC or Calderone to actually show a full photo of the man in question. Roger Kimball lists the contact information where you can reach MSNBC to protest this. Ah, for a thrill up his leg!